In the previous chapters we covered the steps necessary to configure the Red Hat Enterprise Linux 6 operating system to act as a KVM host system and created, installed and ran a KVM guest system. 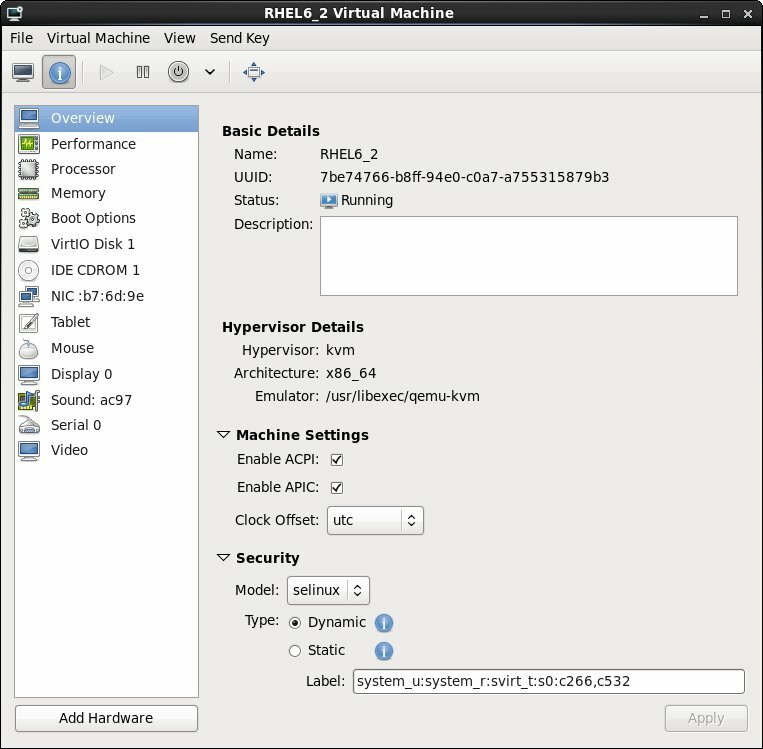 When a KVM virtual guest system has been configured it will appear in the list of systems when the virt-manager is loaded. The virt-manager tool is launched either by selecting Applications -> System Tools -> Virtual Machine Manager or from the command-line by running virt-manager. If virt-manager shows the host system as being disconnected, connect to it either by double clicking on the host in the list or right click on it and select Connect from the resulting menu. To launch a guest virtual OS right click on the system in the list and select Run from the context menu. Alternatively, select the virtual machine and press the “play” button in the toolbar. To access the console window of running the guest, click on the Open toolbar button. To stop a virtual machine running a guest OS it is not sufficient to simply close the Virtual Machine Console and Virtual Machine Manager windows. Doing so only closes the manager and console, leaving the guest operating system running in the background. To shutdown a guest OS, either shut it down using the operating system's own shut down mechanism, select an option from the Virtual Machine Console Virtual Machine -> Shutdown menu, or right click on the guest OS from the list in the virt-manager main screen and select Shutdown. 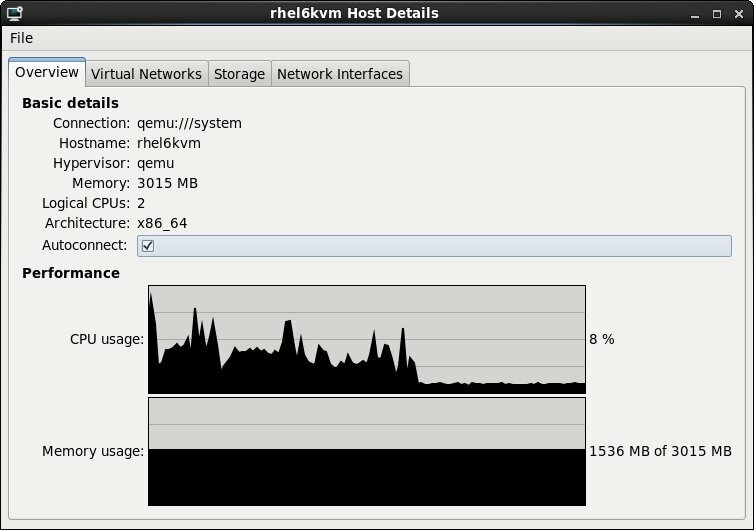 KVM provides the ability to pause and resume a running guest operating system. 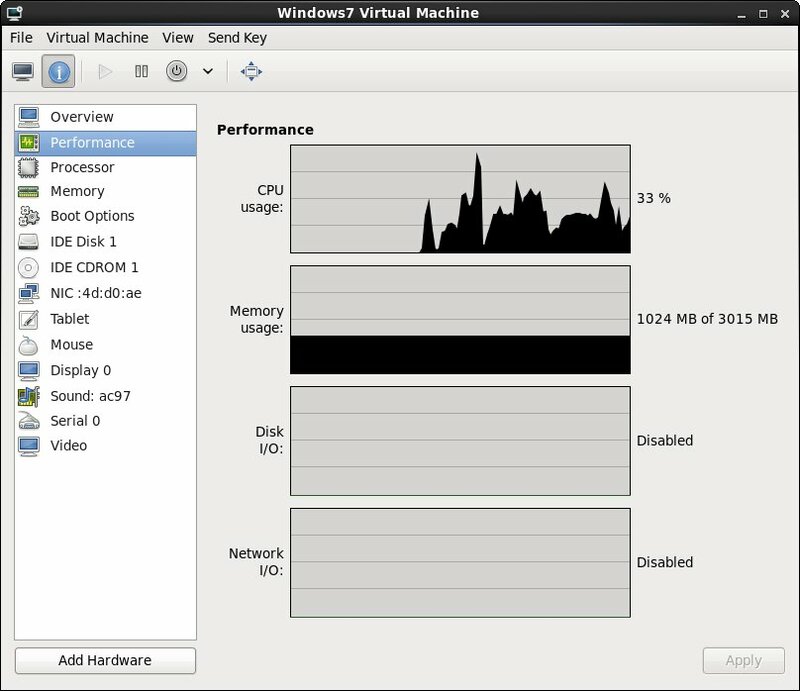 To pause a running system, either select Pause in the Virtual Machine Console Virtual Machine menu, or right click the operating system in the virt-manager main screen and select Pause. A paused guest OS may then be resumed either by clicking again on the Pause menu option in the Virtual Machine Console, or right clicking the operating system in the virt-manager main screen and selecting Resume. Note that a paused guest system instance will not survive the reboot of the host operating system and continues to use system memory in the paused state. In the event that the host operating system is rebooted, the guest operating system will need to be restarted and cannot be resumed from its paused state. Note that changes to memory for a currently running guest will not take effect until the guest is rebooted. To enable monitoring of disk and network I/O, select the Edit -> Preferences menu option from the main virt-manager screen, select the Stats tab and set the check boxes next to Disk I/O and Network I/O listed under Enable Stats Polling.